We are weaved into this region’s startup stories. We placed our faith in the Asian startup ecosystem before it took shape. We witnessed the transformation of business culture. We partnered with strong talents who brought to fruition the business ideas of idealistic founders. We formed a community of like-minded people who are still passionate about meaningful disruption. Today, we continue to be build the talent and connections to fuel the Asian startup evolution. With more than a decade of experience in P&G, a “promote from within” organization, Elena always had a flair for identifying talent and grooming leaders. Inspired by talented individuals that she meets while curating the community - leaders who exhibit a blend of courage, resilience and daring-to-dream – she plays a critical role in helping employers see the great potential of these individuals. Joanna is a Strategic HR and Talent Management practitioner with over 20 years of consulting and corporate HR experience. She thrives on the adrenaline rush that comes from partnering business leaders to build high-performing teams. She counts Singapore Post, Shell, Advanced Micro Devices and Resorts World among her clients. Valued for her strong grasp of complex business environments, her ability to spot exceptional talent, and nurture existing team members, she is always accompanied by a healthy dash of humour and plenty of energy! An experienced Technology Marketing & PR professional with over 15 years in Tech & Media MNCs, helping high-growth tech companies look for talent comes naturally to Fiona. Understanding the needs of fledging companies with huge potential and helping them scale is something she finds hughly rewarding. 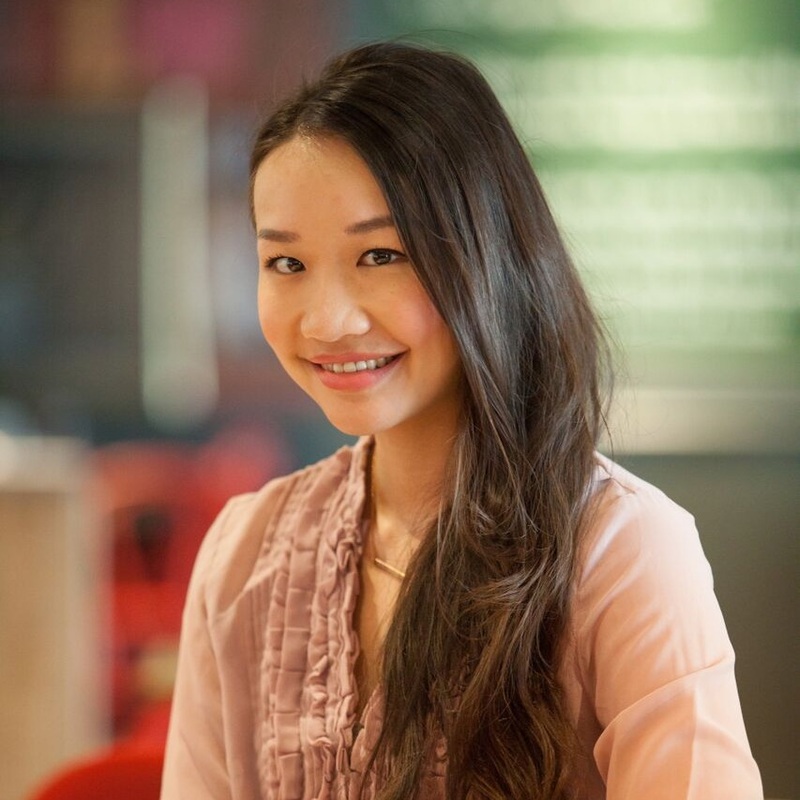 Apart from meeting interesting and talented people everyday, Fiona is a yoga enthusiast. Pamela has over 7 years of experience in P&G, where hosting career talks and hiring was almost a daily affair during her days as business lead in SK-II. She was also involved in the recruitment and capability development of talents. It brings her great joy to match talents to their dream jobs, and when companies are empowered to take their business to the next level with the right candidates. Sabrinna is a seasoned HR practitioner and specializes in regional compensation and benefits, employee engagement and building HR processes. Sabrinna spent the first ten years of her career in corporate as a generalist and payroll specialist and then moved to the startup scene as Head of HR for startups rapidly expanding in the region. Today, she enjoys helping startups scale and build their teams. Gene is the cofounder of StartupsHK, a pioneer startup builder in Hong Kong that started in 2010. He has been instrumental in developing Hong Kong's startup ecosystem and has helped many startup founders in the process. Having launched businesses in tech and fashion, and worked in mobile gaming, social media and smart city startups, Gene understands the struggles faced by startups in hiring. Yvonne is a Finance and Administration Lead with experience in HR business partnering and service quality training & Consulting, including managing various HR specialist and customer service functions in startup, SME and MNC environments. Having spent 10 over years of her career focusing on achieving organization excellence through myriad people and process-centric initiatives, Yvonne is dedicated in supporting core processes that drives our business operations. Kenny has worked in the public and private sectors in the tech startup scene. He has extensive experience in the areas of government grant administration, bootcamps, talent development, technology transfer, IP management, business development and events. His passion is to develop an entrepreneurial workforce that will thrive and succeed in the innovation economy. At ConnectOne, he helps founders by connect with amazing talents. Tech consultant, head of HR, entrepreneur and technical recruiter - just a few of the many hats that Perlyn has worn in the last ten years. Her varied work experience has given her insights to what fast growing companies are looking for. Perlyn's entrepreneurial background coupled with strong technical knowledge enables her to quickly identify talent with the necessary tech stacks and relevant project experience. Susan is a business and results driven Talent, OD & HR practitioner/consultant with over 15 years of global experience. She holds a PhD from the University of Stavanger, Norway, with research focus in Knowledge Management. She counts companies such as Statoil, AIG, Visa, Accenture and now, Go-Jek in her portfolio and has operated both in corporate and entrepreneurial environments. Susan is a certified executive coach and researcher with proven track record in delivering HR and business transformation. Passionate about mentoring and coaching, she is a keen advocate for thought agility and authenticity. Actively presenting and publishing in both academic and industry arenas, her book, "The Death of Best Practices" is soon to be published. Bryan Long is the founder of Unaverage, a venture and people builder that helps companies, startups and individuals compete in new categories and make new money. He was previously the co-founder of Stacck, a SaaS startup, which counts Eduardo Saverin as one of its investors, and which he sold recently. Bryan is an evangelist of Lean Startup. He has organised Singapore Lean Startup Circle, Lean Startup Machine and many similar workshops. He has mentored teams at numerous startup events including Plug and Play, Startup Weekend and Founders Institute. He has helped employees from Citi, P&G, OCBC, SPH and other companies to experience Lean Startup hands-on. He has taught students from HyperIsland, NUS, Temasek Polytechnic, and NTU and invited to speak on Lean Startup in the region. Jeffrey works with Asian & MNC businesses, private equity/ family offices/ sovereign funds, corporate M&A, startups and angel investors to realize the potential of people, ideas and businesses. His current projects cover commercial go-to-market advisory, corporate VC advisory, and digital transformation program design & implementation for companies embarking on self-disruption. Jeff is a Partner at Quest Ventures and also serves as a Venture Partner at IncuVest. Prior to Quest, Jeff was the Asia Pacific CEO of Starcom MediaVest Group. On a personal note, Jeffrey sits on the Board of Assisi Hospice and the Singapore Discovery Centre. He is an Arsenal and Shakespeare fan and considers his greatest achievement to being a doting father to his 3 children.